These are horses that have come into our program and are currently or will be available for adoption. IHR Davina is a grey, substantial, classically baroque built mare, who stands 15.3 hands, and is approximately 11 years old. She was saved by IHR, in 2017. Davina is kind and willing with a strong work ethic. She has had 30 days of professional ground work. Davina is still in need of rehabilitation and she is considered a project for an experienced Iberian horse lover. She is located in Central Washington State. IHR Antonia is a bay roan, substantial, 14.3 hand said-to-be Azteca mare, approximately 8 years old. She was saved by IHR, in 2017, and was pregnant at the time. Antonia is acutely intelligent, with an incredible sense of humor! She has had 30 days of professional groundwork, has been saddled, and is considered a project for an experienced Iberian horse lover. She is located in Central Washington State. 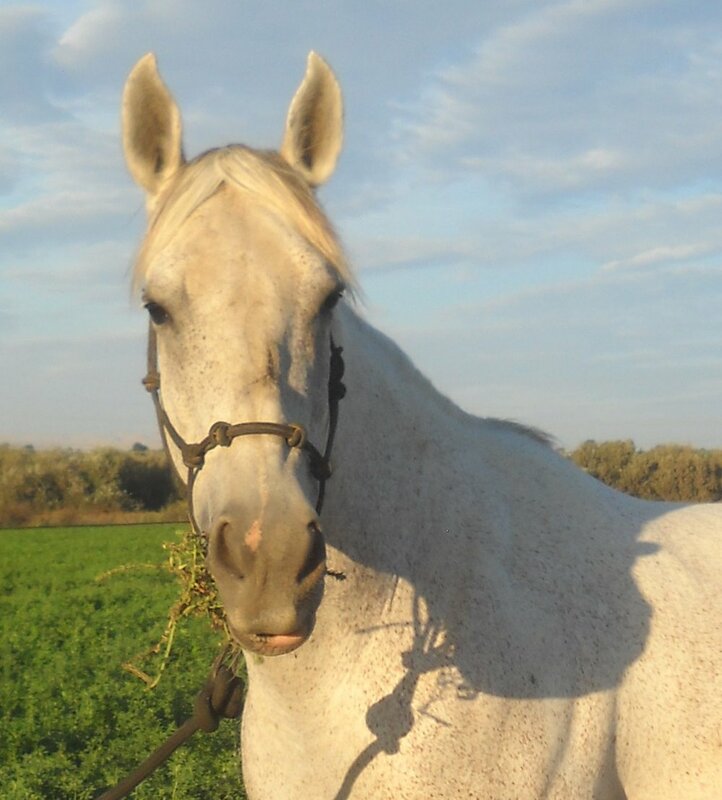 IHR Karat is a grey, substantial, 14.2 hand, said to be Andalusian crossbred, and is approximately 12 years old. IHR Karat was saved by IHR, in 2015, and was adopted in 2017. Karat has two months of professional training and was doing well under saddle, in 2016. She also now has had clicker training, and is looking for the right person to connect with. Karat is located in Alberta, Canada. This is a courtesy listing.